I’m TRYING to be in! This is hopefully going to be my 3rd Ludum Dare experience! I’m currently in college now so the odds of my friends distracting me to hang out are very high. But! My finals are over before Friday, my only for sure distraction will be seeing the Hobbit, which I’m okay with…..
Here’s the tools I plan on using. OMG Shroom 1.1 is out! Epic bug fixes topped off with awesome sauce. Fade out at the ending wasn’t covering all sprites… fixed. A brand spanking new level! Return of the Squirrels. You now get kill things as your final evolved self. You can rate/play the game at this link right here. If you want to watch all 33.5 hours of development, it was all recorded on my twitch.tv channel, which I live streamed from! (and many of you seemed to enjoy). You can play Shroom here. I did it! I finished my game! It’s called Shroom and It’s pretty cool! Today was quite a productive day. My little game is going great so far. I have most of the core mechanics in place and all I need is basic win/lose conditions and the evolution twist, music, more art and DONE! Punching, enemies and more mushrooms! Actually, It is awesome. I’ve gotten a lot done so far. and I’m welcome to share it with you all! So basically the first thing that came to mind when the theme was announced (It’s Evolution… FINALLY!) was POKEMON! They evolve right?! So, I sought out to make a game that’s kinda like pokemon, but where you actually play as the monsters and fight other monsters and EVOLVE! The current status of the game. I’ve been livestreaming the entire process so far! And I’ve had some fun talking to some of you! If you wanna join in hop onto the livestream. Or follow me on the twitters! Hello Ludum Darians!(? ), I’m just here to say I’m in for Ludum Dare 24! After last year, completing a game for the first time was exciting! So I hope to shoot higher and make a better and more fun game experience in under 48 hours! I’ve been strugglign these last few months since the last LD to come up with a new game idea, but I think Ludum Dare is just the kick I need to get back into gear! Last year I used Java with Slick2D, it’s a great framework, but distributing java is a nightmare and a bad experience for the player. I want something that can be embedded in a webpage (I know java can, so shh! ), something new and exciting, and something with limitations. So, I’ve decided to go with plain olde’ HTML5! HTML5 will run on just about any platform and offers a good experience overall and a fun and easy development environment. I haven’t decided whether or not I’ll be using a game framework with HTML5, but I have worked with nothing but canvas before and It’s turned out pretty good. I update my twitter throughout the day, so if you wanna follow me, that’s the best place. Last year I attempted to do a live-stream, and I did a little bit, but nobody really watched. I plan on doing it again long with a time-lapse! My livestreaming page is here. So follow it so you’ll know when it’s going down! WISH ME LUCK GAMEDEV BROS! 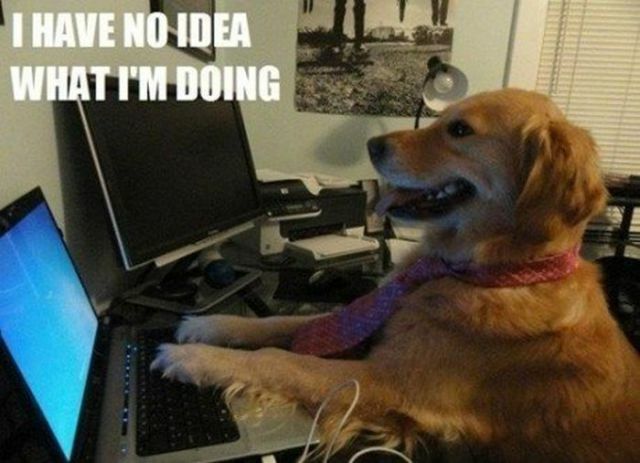 Wow, 48 hours to make a game. I can’t believe I did it, let alone finish and actually be happy with the result! Super Shotgun Showdown was the easiest, most enjoyable and smoothest game development experience I’ve ever had. So lets talk about how it was made. After the theme was announced I struggled for almost two hours to find a good idea. I just finally decided to not think about the theme and think about a fun idea. I’ve always enjoyed playing games like Legend of Zelda roguelikes, and top down shooters, and figured they’re pretty simple to make, so I decided to start there. The game was made in Java/Slick2D I’m very comfortable with java and the api, so I didn’t struggle with learning anything. First, I worked on the world rendering. I chose the window resolution of 240×160 scaled 4x. Huge pixels! Huge pixels are fun and easy to work with, and is easy get something looking pretty decent in a short amount of time. I used a technique notch used for his Prelude of the Chambered a few LD’s back, using pixels in a image as map data, each color would represent a specific tile or entity. After about 6 hours working non-stop, I had smooth movement, collision collision, a basic shooting mechanic and some simple AI for enemies. Earth day! I had plans to do other things, so I spent about 4-5 hours away from the computer. I think this is what helped me the most to finish the game. Once I got back into the development, I added doors, keys, a way to die, away to win, breakable walls, the mini-boss. It was the most fun part of the whole dev-cycle. I could have added things here for days, and the game would be more awesome and jam packed with stuff, but with the time limit putting pressure on me, I stopped and had to get the game 100% functional before Sunday. Aaah! Less than 24 hours remaining! I didn’t freak out, even know it was my Dad’s birthday, and I had to stop being on the computer sooner rather than later. The pressure was getting to me. I just wanted it to be done! By the lunch time the game’s code, functionality and content was complete, all that was left was art, music and sound effects. I used as3sfxr, a super handy utility for game-jams to get great sounding effects in a small amount of time. I made the music with a touch screen synthesizer and with a little polish and particle effects I was done! A huge sigh of relief I could shut off my computer and praise my victory. I learned so much this weekend. The biggest of which is that I can now call myself a Game Developer because I actually finished a game, a struggle I’ve been trying to break for a while now, and another thing I learned was how much java is a pain in the arse. Distributing games in java is a horrible experience for a user, so for any of my future projects, I plan on learning another language uses less code and easily packageable and distributable. You can play/rate Super Shotgun Showdown here! You can also watch a timelapse of the entire 48 hours here. Super Shotgun Showdown is out! I worked on the game up until 2 hours before the deadline. It’s pretty fun. I hope you check it out. Phew, it feels like it’s only been an hour or two. but I’ve made a substantial amount of progress tonight! I have 2 new screenshots, I got the shotgun functioning and enemy AI and enemy deaths. Graphics could use some work, but I love it so far and I’m having lotsa fun! I started a little bit late due to eating food and stuff. But I’ve made some progress! The idea is a top-down shotgun rpg. What does that mean? 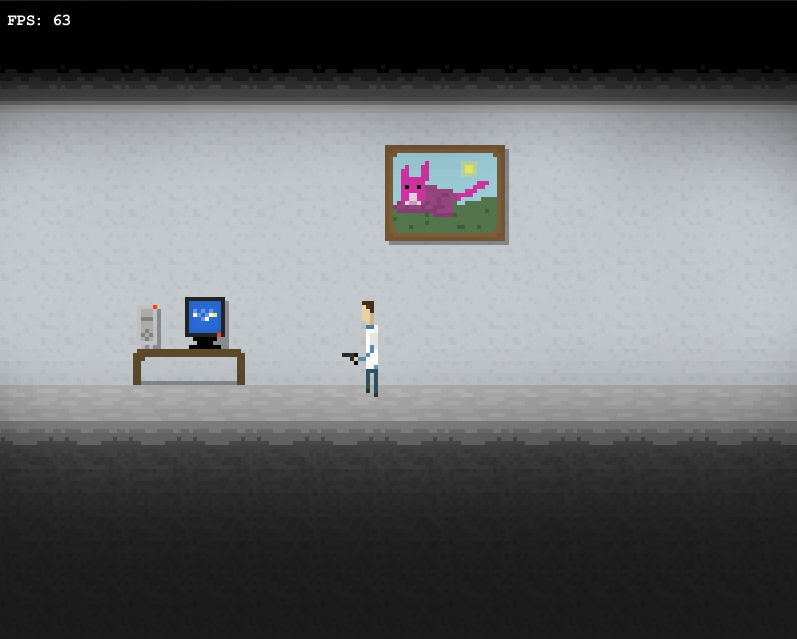 An dungeon crawler type thing, only you have a shotgun… I have tiles up, player moving/collision. http://justin.tv/danlthemanl is where it’s at. I wont be on 100% of the time, I’ll have other matters to attend to, but I’ll be off and on throughout the weekend. I’m in! At least partly! Ludum dare time again! I’m excited to join, although I have many other plans this weekend, I’ll try to do it the best I can. The past two attempts at Ludum Dare, I failed. This time will be different, I’m sure of it. I’m much more skilled as a game developer, I’m currently working on a platformer I hope to finish by the end of the month. Just have to keep it simple, stupid! Java – I’m most familiar with it, and can crank out stuff pretty fast. Slick2D – This framework helps me so much, gives me access to the 2D benefits OpenGL without it’s complicated stuff. Photoshop CS5.5 – There’s free programs for doing pixel art, but I’m really comfortable with Photoshop, and plus I already own it. I’ll be doing a time-lapse for what time I do work on it. No live-stream, that just distracts me. So I guess I’M IN! My game is coming along GREAT! A lot has been done in 4.5 hours. What I know so far is that It’s a side scrolling, 2D shooter. WATCH ME ON TEH STREAMS! 28 queries executed in 0.115 seconds.